Burj Khalifa, World’s tallest building, light up on 25th January in tri-colours – saffron, white and green – to mark the 68th Republic Day of India. 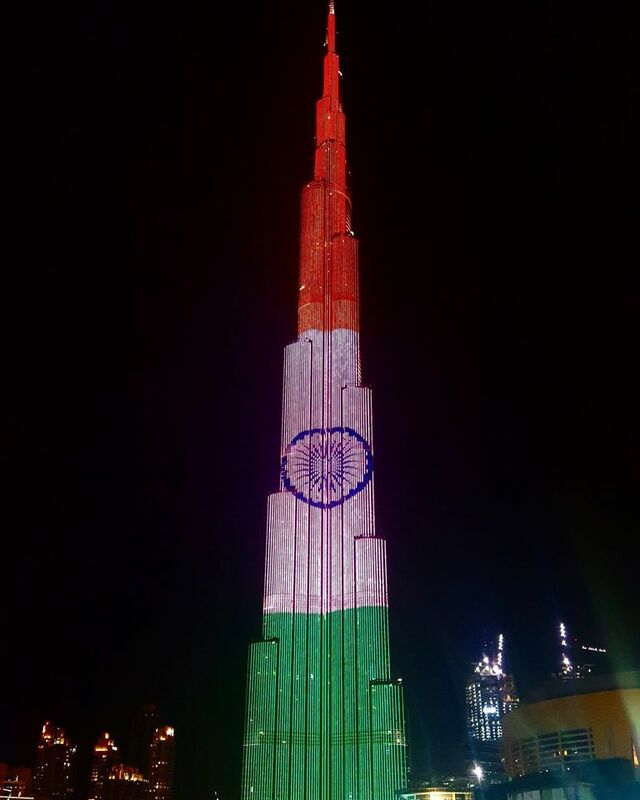 The official Twitter account of Burj Khalifa tweeted out in both English and Arabic languages: “Tonight we celebrate India’s 68th Republic Day with a spectacular LED illumination of the Indian National flag on #BurjKhalifa! #India.” Colours of the Indian flag decorate Burj Khalifa on the occasion of Shaikh Mohammad Bin Zayed's official visit to New Delhi for India's Republic Day. 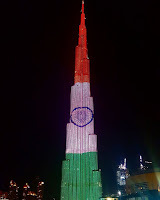 Burj Khalifa light up in the colours of the Indian flag on 25th and 26th January 2017 in salute to the Indian Republic Day. The shows will be at 6.15pm, 7.15pm and 8.15pm on both days along with complimenting Dubai Fountain shows. Indian Consulate in Dubai has a flag-hoisting ceremony at the consulate premises by Consul General Mr. Anurag Bhushan (followed by flag-hoisting at the Indian High School (IHS) grounds in Oud Metha). The ceremony at IHS will include a march-past by the students and other cultural activities as well.